Dandeli is a beautiful town in North Karnataka, surrounded by lush green vegetation. There are dense forests, rivers, valleys, hills and more. It is an ideal vacation spot for families. Dandeli is well-connected by air, road and rail and thus people from all over the world visit the place to enjoy some great time with friends and family. Located on the banks of the Kali River and perched at 1,551 ft above sea level, Dandeli offers the ideal location for indulging in adventure sports as well as for some relaxing time in the company of nature. 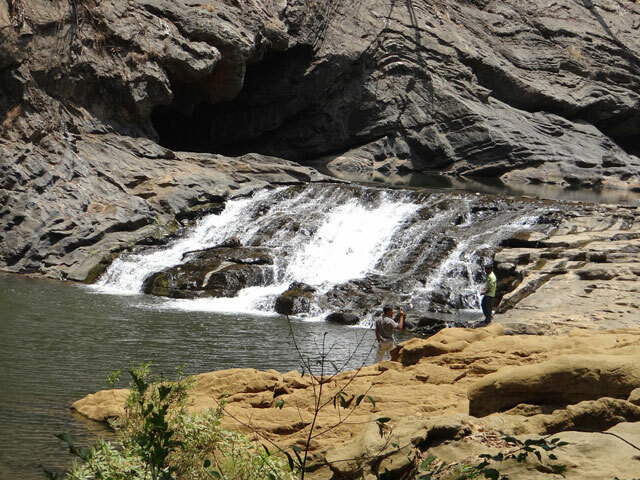 Here are the best 5 places that you can spend some time in while you are in Dandeli. 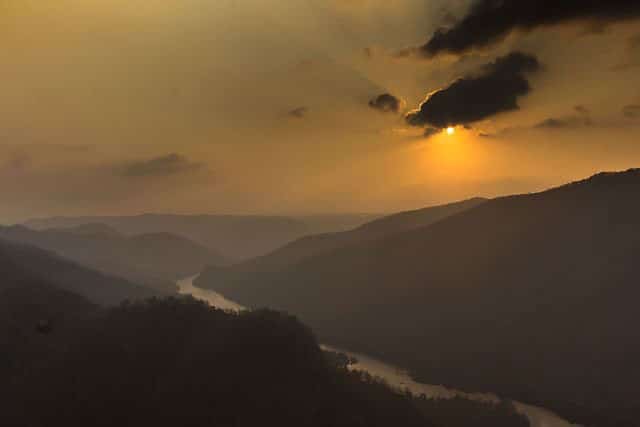 It is not only one of the most beautiful rivers in Karnataka but is also one of the most important, as it is a means of livelihood to the locals staying in the area. The Kali river flows through Karwar and North Karnataka as well. It is also a source of electric power as several dams are built in the river to generate power, including the Supa Dam. It is a huge draw for tourists as apart from offering a great view of nature and a chance to see the local life, Kali River is also one of the most popular destination for water sports such a kayaking, white water rafting, canoeing and more. What makes it one of the best rivers for water sports is that it has many faces to it, it is calm in some places while at some spots there are rough rapids and drops. Thus Kali River is suitable for a family paddle as well as some challenging river rides. It is also just 125 kms away from Goa, and thus many foreign tourists too visit the area. The river is known by the name Kalinadi in the local language. The second largest wildlife sanctuary in the state, the Dandeli wildlife sanctuary is perhaps one of those rare places where you can find all sorts of wildlife. In 2007, it was also declared as a tiger reserve and presently, it is estimated that there are around 40 tigers here. The sanctuary is also home to some of the endangered species and there are rich forests that make the sanctuary. There are all sorts of animals here, including elephants, leopards, deer, antelopes, wild pigs, wild dogs, monkeys, mongoose and so on. There are around 300 different species of birds as well. Birds such as Malabar Pied Hornbill, blue –throated Barbet, Falcon and many such exotic birds too can be spotted here. The Dandeli Wildlife Sanctuary is also home to the rare and exotic black panthers. March to October months are the best time to visit the sanctuary and it is open to visitors from morning 6 to evening 6. Easily accessible by road and rail, the sanctuary offers visitors many activities including adventure tourism, bird watching, wildlife spotting, photography, strolls, and more. You can also go on a wildlife safari. A 300 ft monolithic granite rock located within the Dandeli Wildlife Sanctuary has become a favourite tourist destination of Karnataka. It offers a picturesque scene with dense forests and the gushing Kaneri River giving the perfect landscape to the rocks. There are small towers made from concrete which have different rocks on it, which is the added attraction. You can read all about the rocks including its description and history which is put on them. The renowned Ulavi temple is situated close by. There is a small waterfall here which gives a perfect addition to the beauty of Syntheri rocks. The rock is also home to many pigeons and rock bees. It is also the second biggest dam in the state located in the Joida taluk in North Karnataka and just 25 kms from Dandeli. This dam is built on the Kali river and is one of the most important dams in the state. Electric power generated at the dam is supplied to many parts of the state. The gushing water, the lush green plantations around the dam and the sight of power generation make Supa dam a wonderful place to visit. 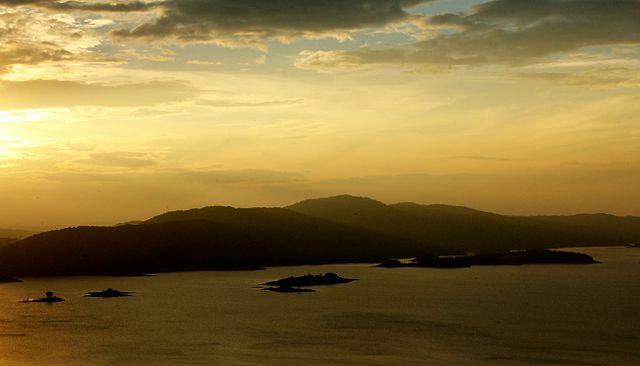 If you wish to experience nature in its true form and be completely mesmerised by it, then halt at Sykes point. There are many sights to behold, first, there is the vast Kali River flowing proudly down the valley, then there are the dense forests that seem to be happy with your presence, swinging to the flow of wind, and of course, there is a variety of wildlife to spot. You can reach the place either by trekking or via a jeep. Sykes Point is also a popular picnic spot.